Located in Timberland s/d you get to have it all - a charming community setting & convenience to your favorite places - all at a fantastic value. This one owner home has been well taken care of & is move in ready! 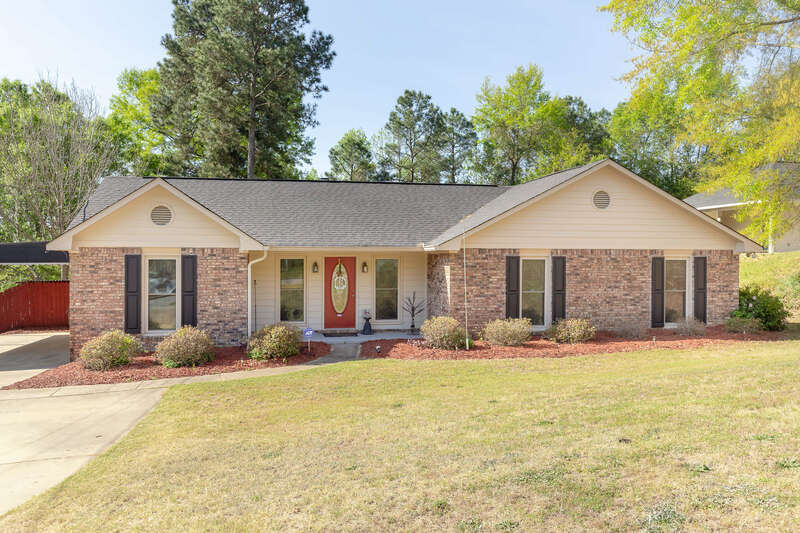 You won't believe the backyard oasis at this awesome ranch home in the heart of Phenix City! Just in time for warm weather the covered patio provides excellent entertaining space & overlooks the sparkling pool & lush landscaping - to include multiple banana trees & rose bushes! All on one level - this floor plan will easily fit your needs. The formal dining rm could serve many purposes play room or office if needed! Spacious kitchen w/ eat in area overlooking the backyard. The living rm centers around a brick fireplace. Down the hall is a full bath & all 3 bedrooms to include the master w/ private ensuite. This is truly a great find & one you don't want to miss.